to the Landes of Gascony, including Charentes, the Dordogne and the Aquitaine area. 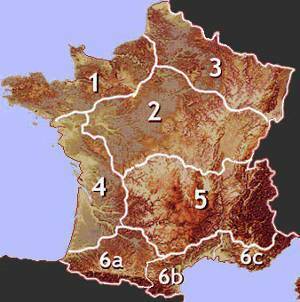 From the Loire estuary to the Landes of Gascony, including Charentes, the Dordogne and the Aquitaine area. Loire Atlantique to Aquitaine - including Vendée, Poitou, and the Charentes. About-France.com French wine guide - the area around Bordeaux is one of the world's greatest wine producing areas. 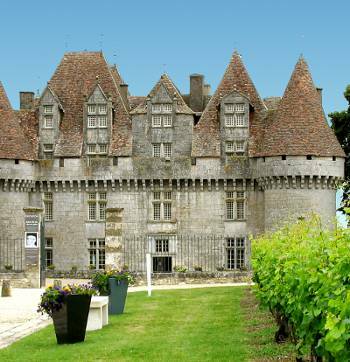 Pour inscrire votre gite ou villa, consultez nos informations propriétaires..
Atlantic western France runs from the Loire to Poitou to the Charentes; Southwest France is essentially the region of Aquitaine, including the Dordogne. This directory offers a choice of traditional gites and cottage rentals in the gentle countryside of western France. 6 to 12 hours from Calais or Lille under normal driving conditions. Western channel crossings to Roscoff, Cherbourg ofr Caen. From Calais, motorway via Rouen and Orleans.